The following post is brought to you by our sponsor, Coffeepass, and was originally published on our partner website India.com. The online dating world just got bigger and better. 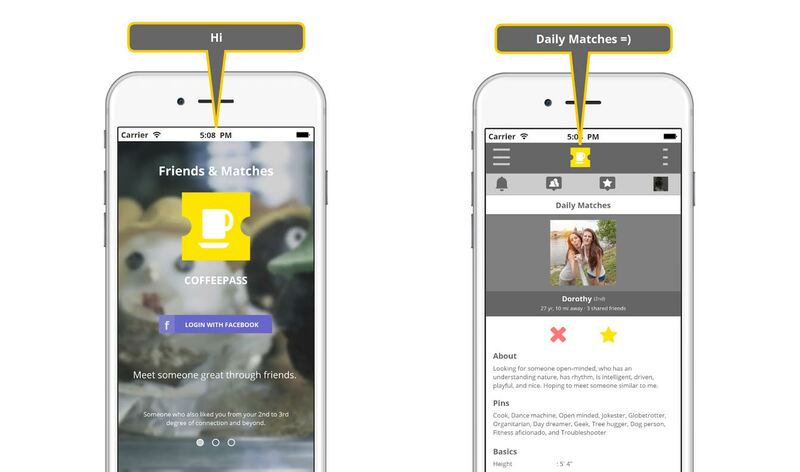 Coffeepass, co-founded by Dev Melepura and Ashwath Biradar, was developed as a means to fix online dating using friends and mutual connections, and a great amount of research on social theories. Originally starting as Matrimonier in 2013, the concept evolved over time and after conducting tests, Coffeepass released it’s iOS mobile app in September 2015 and officially launched on March 1, 2016. Melepura began the pursuit for Coffeepass with the notion that the ‘friend’ is the factor which is the solution for dating. He said he went back to consulting for a little while but stopped it altogether when he began working on an idea for online dating, which eventually led to Coffeepass. He said he realized he would still rather meet someone in a casual setting or socially rather than going on one-on-one dates through sites or apps. 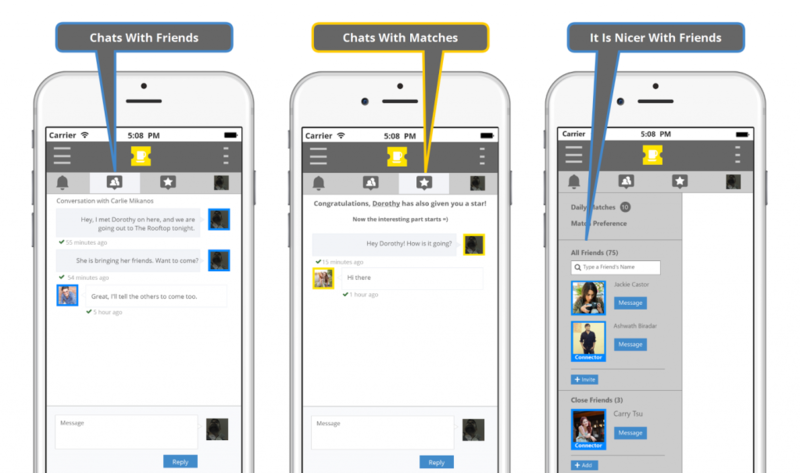 On the app, matching happens through the extended degree Facebook friends, second to third degree and beyond. It is focused on meeting someone new that is outside of your first degree (immediate connection) of friends. Facebook is more about staying connected to those you’ve met and know but on Coffeepass, it isn’t just about one particular degree, there are four degrees being considered — 1st degree, 2nd degree, 3rd degree, and there is a 4th, which is the open degree of connection, beyond the 2nd and 3rd degree. He theorized that, together, these are the four degrees important to online dating because of how friendships are formed in real life. He wrote about these theories on the Coffeepass blog. The inspiration for this is are the various connection theories on matchmaking. The 2nd to 3rd degree and the 4th open degree is for matching. The 1st degree is for your friends and close friends. For your 2nd degree mutual matches you’ll see shared friends, for your 3rd degree & open degree mutual matches if the match added a close friend you’ll see their close friends. This allows you to inquire about a mutual match with shared friends or with close friends. For Melepura, these four degrees are approached in such a way, they make sense, socially, for the world of dating. This ideology is what distinguishes the app from its counterparts. Melepura, who grew up in New York City since age seven, studied business and computers at a university in New York. Launching start-ups is no easy feat. It requires determination like nothing else. For the co-founders of this app, it took them more than 2.5 years to launch. It was a challenge to come up with and take care of all the little aspects and details that make the app what it is. 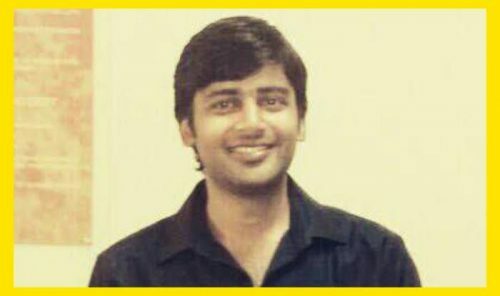 “Currently, Ashwath is the co-founder and CTO of Coffeepass, and myself. The time it took to launch may have been long but it was beneficial because that time gave us room to put a lot of thought into how the platform would come out,” Melepura said. 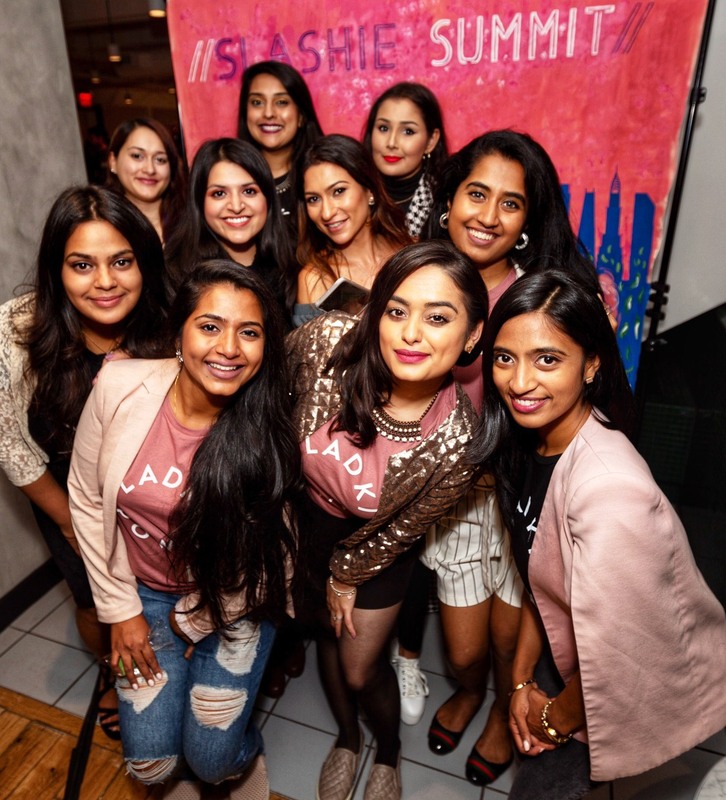 While not specifically aimed towards the South Asian community, Coffeepass hopes to attract the modern audience. Even today in the diaspora, talking about dating, let alone finding a date online, is considered taboo. Yet, websites like Shaadi.com are a big hit. Melepura believes that online dating can be categorized into three spaces — individual, family, and friends. “The individual space is already crowded with platforms like OkCupid, Match, eHarmony, Tinder. 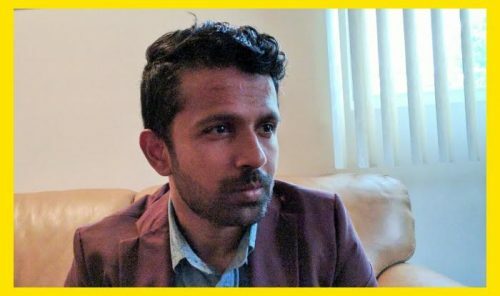 The family space is already crowded but it is uniquely big in India with websites like Shaadi.com and Bharat Matrimony, where it is mostly the parents who create profiles for their kids,” he said. With their Android version of the app launching soon, they intend on continuing their unique approach to finding a match online. 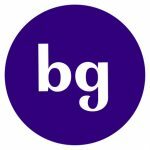 “Right now we are happy with how the platform is. Going forward, our focus is to increase our user base exponentially and on the way, we’ll continue to make enhancements to increase speed and experience,” Melepura added. 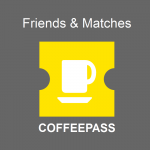 Coffeepass: Meet someone great through friends. Someone who also liked you from your 2nd to 3rd degree of connection and beyond. Here friends (single & non-single) are mixed into the online dating scene in a nice way. Meet up one on one or while out with friends.